Looking to start a business that can make the world a better place? Currently we offer two workshops covering aspects of social enterprise and innovation, in partnership with The Agency. See below for details and registration information. Urgent problems and challenges like food security, climate change, health care, mental health need solutions. The theory on social impact will show how together when we use social innovation, social entrepreneurship, and social finance we can solve these real problems. We have much to learn from Indigenous approaches to innovation which are informed by cultures and languages, supporting community led solutions. Join us as we share a variety of approaches and put you to work solving some real issues. Wendy is of the Bald Eagle Clan; She is Potawatami and Ojibwa and a proud member of Wasausking First Nation. She has over 20 years of experience in the public and private sector within non-profit and for profit organizations. Wendy has been faculty for Indigenous Studies and the Business School for entrepreneurship. She is a founding member of the Indigenous Innovation Initiatives that supports social impacts with Indigenous communities across country. 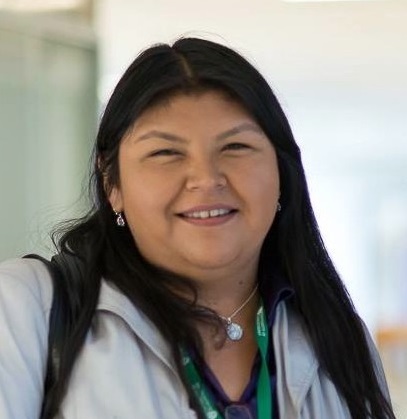 Wendy is a graduate of Trent University with an Honors degree in Indigenous Studies with a Minor in Business Administration; She has also graduated from Fleming College with a Diploma in Career and Work Counselling and George Brown College with a Certificate in Life Skills Coaching. In 2018, Wendy was awarded the Community Medal for Scarborough/Guildwood from M.P John McKay and she was also a recipient for the Remarkable Woman Award. Cindy is a former tech entrepreneur who successfully sold her company and refocused her skills and efforts in the field of social innovation. She is a Senior Fellow at Massey College, supporter and community member of the Centre for Social Innovation and mentors students, alumni and entrepreneurs. In 2016 she founded The Agency which is a hub that facilitates introductions and wayfinding for students, faculty, teaching staff, alumni and partners focused on social innovation at UofT. Take part in a workshop where you will develop a sustainable business strategy that creates value for people and planet. You will examine the ecosystems and identify potential systems change. You’ll learn how social enterprises expand the thinking beyond a single bottom line. We will start with the lexicon and quickly move into real examples that will change your perspective on what’s possible. Bring your ideas for a social enterprise and we'll see if they can be turned into a sustainable business with social impact. Dr. Shashi Kant is Director of Master of Science in Sustainability Management (MScSM) Program. In addition to his administrative duties, he teaches two courses in the program; most fittingly, the first and last core courses; SSM1010Y - Principles of Sustainability Management and SSM1090H - Capstone: The Sustainable Enterprise. 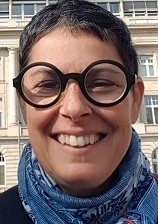 Shashi is also Professor of Forest Resource Economics and Management at the Faculty of Forestry, with emphasis on the economics of sustainable forest management. Camille is a second year MBA student at Rotman School of Management where she is focusing on the human centered approach to designing solutions for social impact. Prior to Rotman, she worked as a consultant to non profits in the education sector in India supporting them with program design, capacity development and monitoring and evaluation. She is currently working on social enterprise strategies for large scale charities.